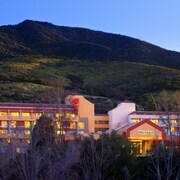 Hotels in Los Angeles start at C$103 per night. Prices and availability subject to change. Additional terms may apply. 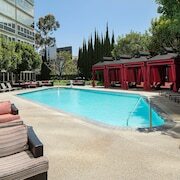 Loews Hollywood Hotel: Known for storytelling on the silver screen, Hollywood is sprinkled with celebrity and nostalgia. 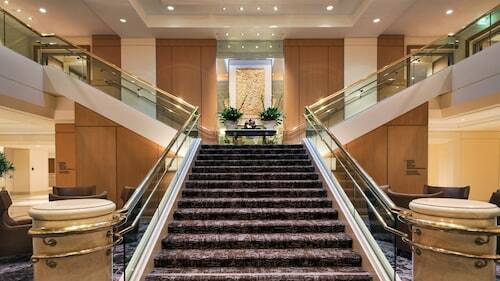 Spend your vacation just steps away from the Hollywood Walk of Fame, TCL Chinese Theatre, and Dolby Theatre, as well as several other renowned performing arts venues. 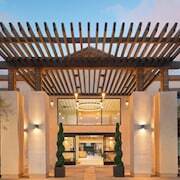 The after parties in this neighborhood can shimmer until the sun comes up, so plan on a relaxing morning noshing on breakfast in your suite and sipping a refreshing lemonade at the poolside bar. 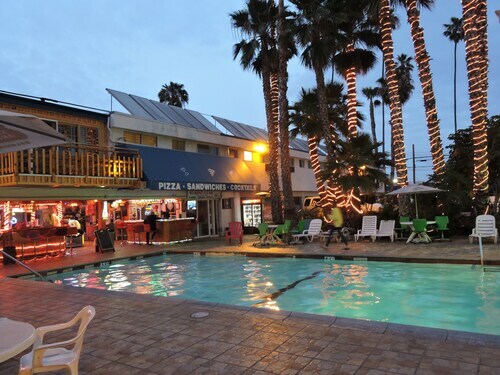 Marina del Rey Hotel: Within walking distance to Fisherman’s Village and Venice Beach, this hotel is more than a waterfront escape; it’s an oasis in the midst of a lively beachside experience. Before a day on the waves, find your center with a morning looking out over the peaceful marina—all from the windows of your contemporary suite. 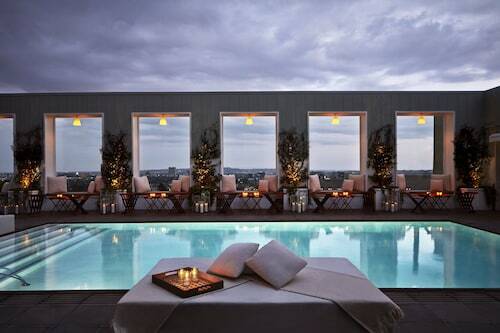 The Ritz-Carlton, Los Angeles: Hollywood isn’t the only place to put on the Ritz in this city. 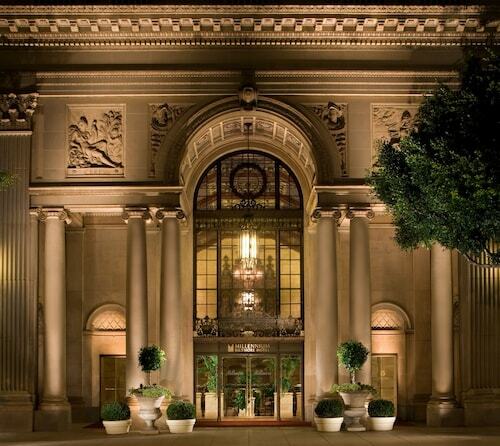 On the brightly lit streets of downtown LA, the Ritz-Carlton is luxury at its finest. 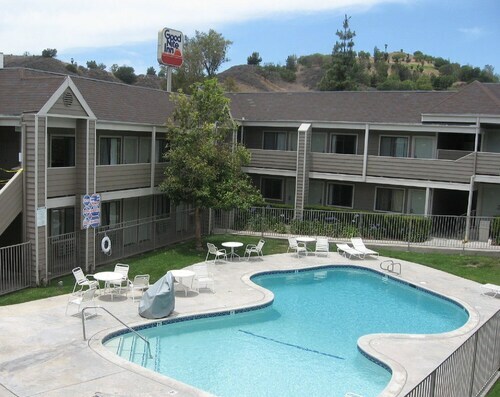 Located right next to the Grammy Museum, Staples Center, and excellent dining options, this hotel is more than a place to stay. Surround yourself with exquisite entertainment and relax away a full day with in-room spa treatments and snuggle under a cozy down comforter. LAX is among the busiest transportation hubs in the world, but once you step outside the immense corridors, the neighborhood takes on Southern California’s signature cool. 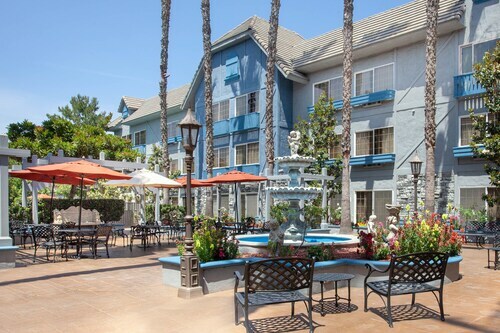 Staying at LA hotels near the airport will simplify your vacation commutes and give easy access to the gorgeous coastline. 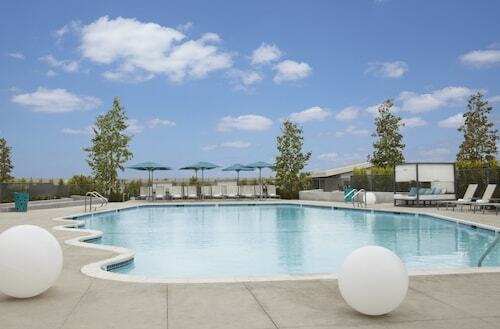 Plus, it’s only 20 miles southwest of downtown and 16 miles south of Hollywood Boulevard. 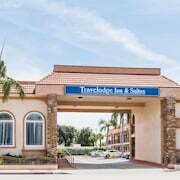 Fairfield Inn & Suites Los Angeles LAX/El Segundo: Located south of LAX, this hotel offers complimentary breakfast and 24-hour airport shuttle service, so your vacation starts the second you touch down. Tacos are never in short supply at restaurants near the Fairfield, so grab a snack and head to nearby Manhattan Beach whenever you please. 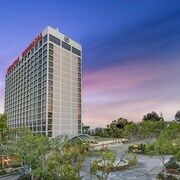 Hilton Los Angeles Airport: Directly east of the airport, this Hilton is perfect for business travelers, thanks to the array of craft cocktail bars and bistros you’ll find within easy reach. 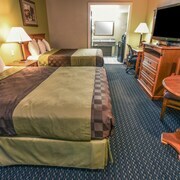 The hotel features an elegant contemporary aesthetic and a business center for all your client hosting needs. 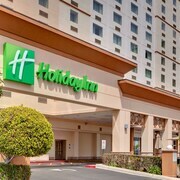 Four Points by Sheraton Los Angeles International Airport: The Four Points by Sheraton is also east of LAX. 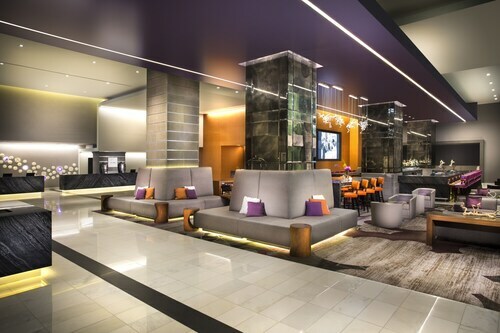 Ride the hotel shuttle service to and from this contemporary hotel. Be sure to have the in-house dry cleaning service steam the travel wrinkles from your cocktail hour attire before an evening at nearby Hollywood Park Casino. The staff was very friendly and helpful great customer service over all thank you..